In breaking SEO news, Google has announced it will begin rolling out the 'New Adwords Experience’ over the next couple of weeks. Adwords enables businesses to place ads on Google’s search result pages and its extended advertising network. Google summarizes the new Adwords experience as a way to “reach your business goals, save time and get more done”. One of the most useful features in the new Adwords experience is the “Landing Pages” section inside your Adwords account. The ‘Landing Pages’ section displays which URLs in your account are mobile-friendly, which ones drive the most sales, and which ones may require some tweaks. This is important because almost ONE-THIRD of smartphone users will immediately switch to another site if your site isn’t optimized for mobile viewing. So if you want your business to reach its full potential, you must optimise your landing pages and make the most of all mobile traffic coming to your website. 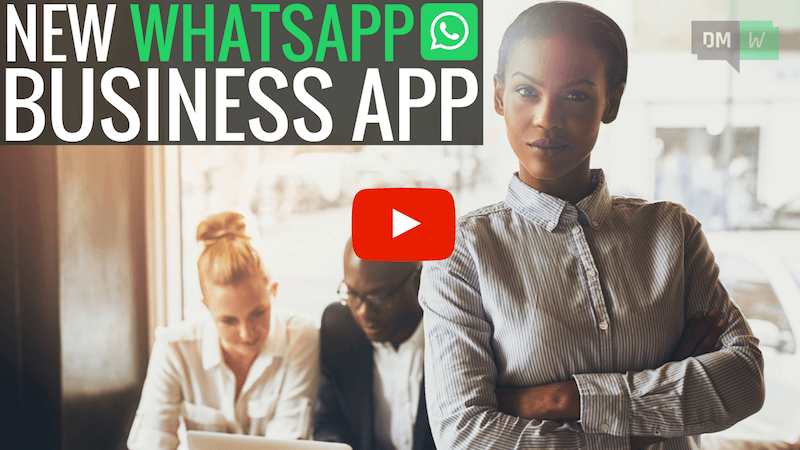 In social media news, WhatsApp has just announced they’ll be launching a brand new app to help businesses better communicate with their customers. In case you’ve never heard of WhatsApp, it’s an instant-messaging service for smartphones. Over 1 billion people use it every day to send text messages, videos, images, and even make voice calls to other WhatsApp users. This latest announcement is great news for businesses of all sizes. Large businesses such as airlines and e-commerce sites will have to pay “to provide customers with useful notifications like flight times, delivery confirmations, and other updates”. Small-to-medium sized businesses will have access to a free app to help them communicate with their customers. WhatsApp hasn't released the details of exactly what the free business app will allow you to do yet, but we’ll let you know as soon as more details are available. YouTube has just announced three exciting improvements to its Live streaming service. You can now choose ‘ultra-low latency’ when streaming. Stream latency is the delay between your camera capturing a video and displaying it to viewers. Ultra-low-latency means you’ll be able to interact with viewers closer to real time than ever before! The trade-off is that your viewers may experience lower quality video, so it’s important to keep that in mind. Live chat is an incredibly powerful way for you to connect with your audience. YouTube has now made it easier to manage the chat by holding potentially inappropriate messages for review. By turning this feature on, YouTube will sandbox all live comments for you to review during the live broadcast. You can choose to approve, hide, or mark the comments as spam. This review process will help you control any unwarranted negativity, which has unfortunately been a problem on YouTube in the past. Apple iPhone and iPad users can now stream live video from their mobile device directly to YouTube Live. You can stream the game you're playing, along with live commentary using video and audio from the front-facing camera. As always, the best way to take advantage of these new developments and jump ahead of your competition is to be an early adopter.